Interested persons should complete the application, which can be found on the Court’s website under the Lawyer Representatives section. 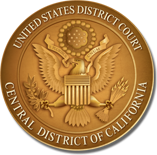 Additional information about serving as a Lawyer Representative can be found on the 9th Circuit’s website at http://www.ce9.uscourts.gov/lawyer_reps/. Please send completed applications no later than July 29, 2016, to LawyerReps_CACD@cacd.uscourts.gov.